Obowma without makeup ... Or mulatto in his natural habitat. President of Kenya I presume? 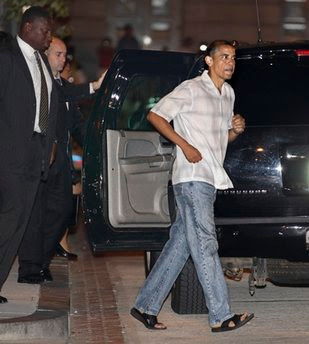 President Barack Obama is dressed in casual clothes as he departs the 'Spy Museum' in Washington, Friday evening, July 30, 2010.